What a day! 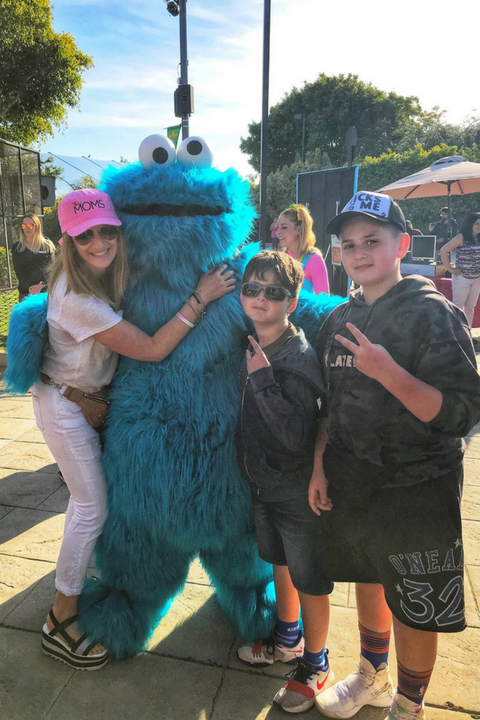 We headed to San Diego to host an event at SeaWorld where we experienced their new Sesame Street Party Parade, enjoyed the day and learned about their animal rescue. 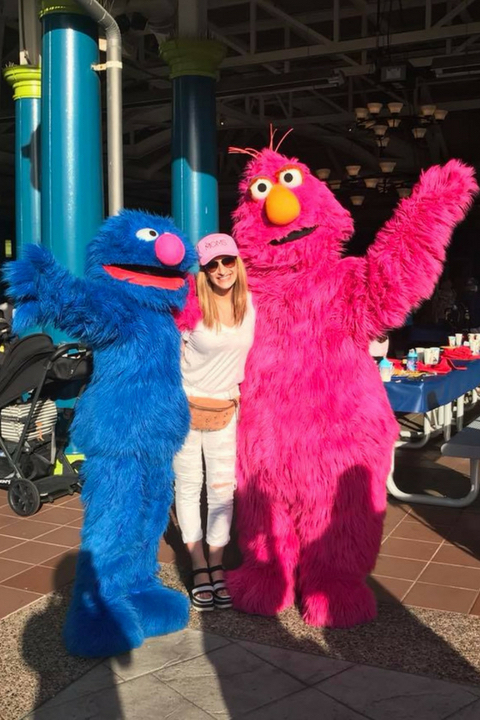 It was so special to be at SeaWorld for the launch of their Sesame Street Party Parade. It doesn’t matter your age. We are all truly just kids who loved it all! Plus in real life is still better than online. 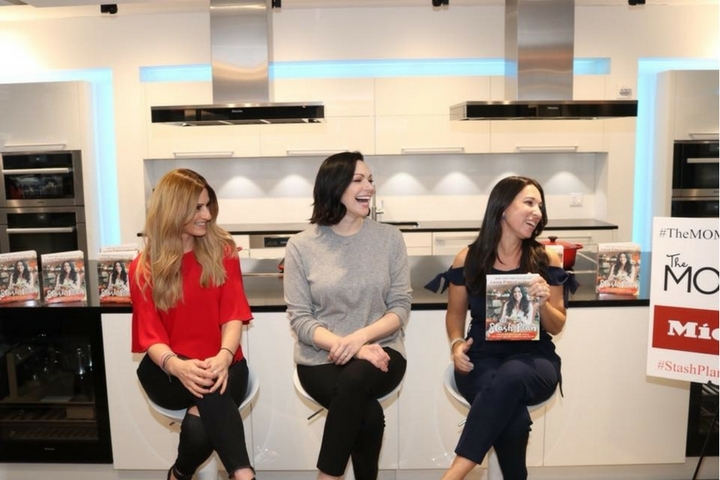 We Loved hosting this event for mom influencers and entrepreneurs that we have followed and connected with through our podcast and social media. Plus we love the animals and shows and learning about their animal rescue! 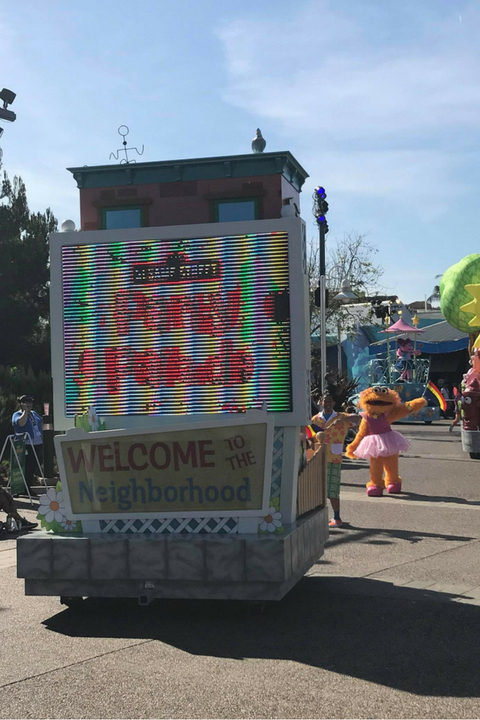 Coming in 2019: Take a walk down Sesame Street for the very first time, connecting your family to all of the fun, laughter and learning of the world famous street and have as much fun as we did! 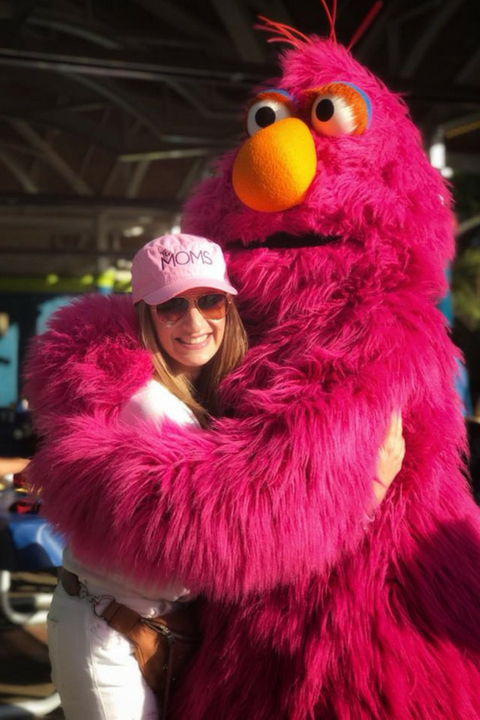 You can explore the iconic neighborhood, watch as Elmo and his friends dance down the parade and enjoy the exciting rides, wet and dry play areas, and interactive experiences designed to entertain your entire family. 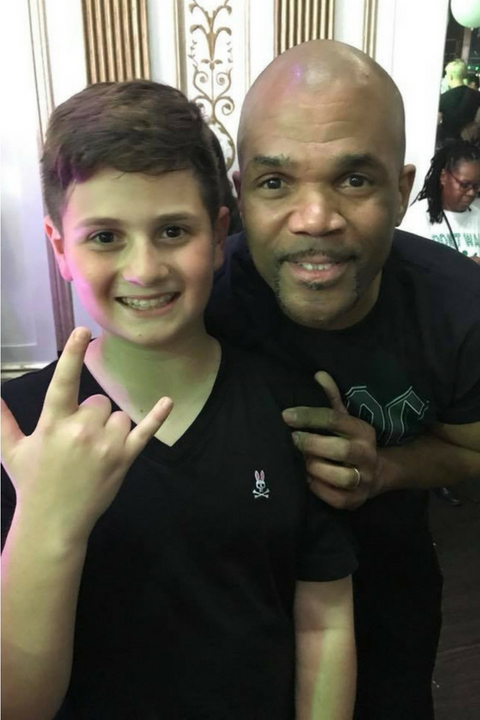 Anything Is Possible…Run DMC and Denise’s son! 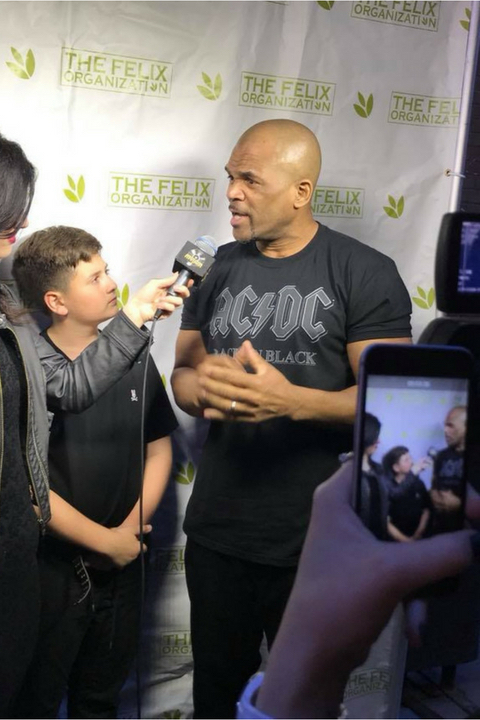 Anything IS Possible….with hard work, passion and dedication my kids saw that first hand when Run DMC’s Darryl McDaniels honored my son Jaron for all he’s done for The FELIX Organization which sends Foster Children to camp. It’s truly amazing how things work in life. 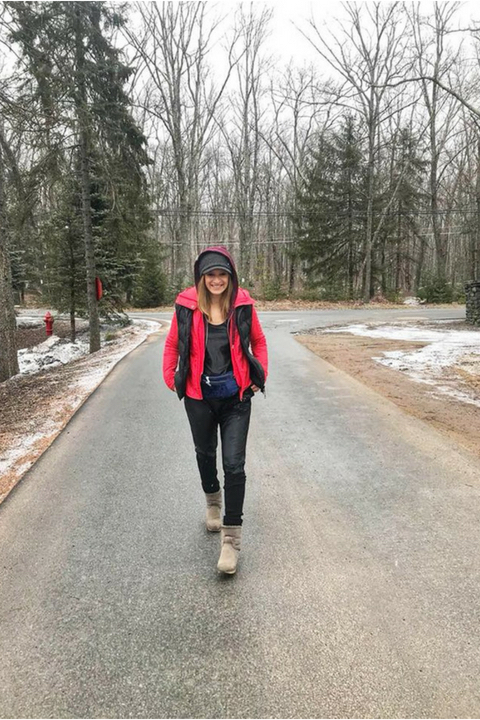 It all started as a small project when we learned of The FELIX Organization from Kay Kay Clivio and what she does for them with Om This Way and Equinox when she started doing yoga with us during my #FutureCancerSurvivor journey. 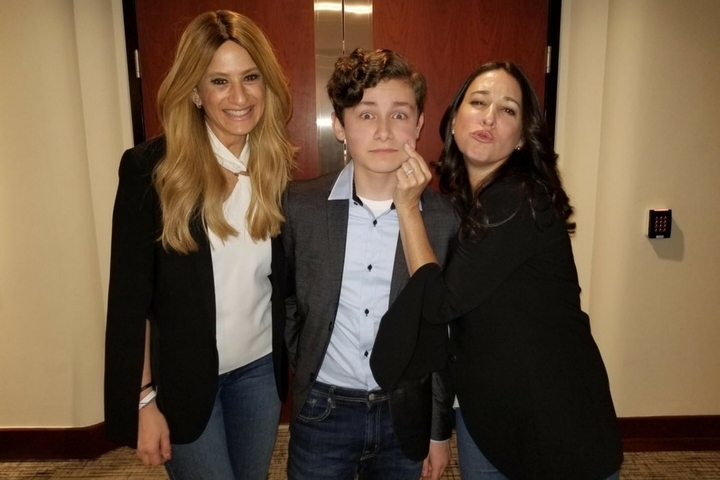 Jaron went to an event and bonded with Darryl and Myra Scheer. 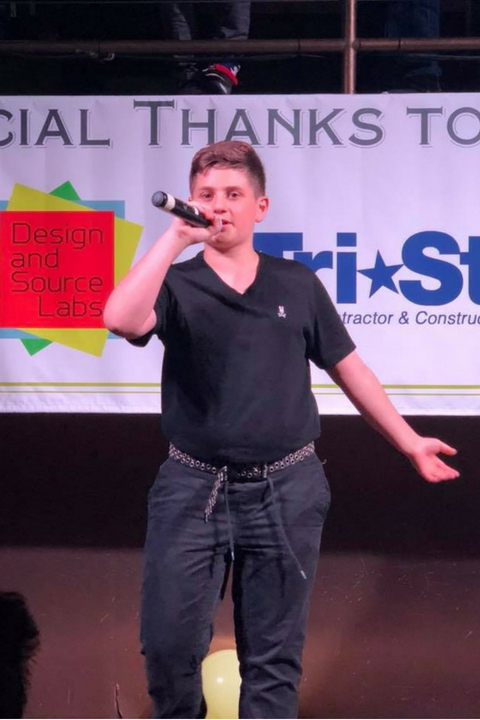 Jaron wrote and rapped a song about his experience, raised a ton of money (thanks to so many). Trust me when I tell you this is life changing and equally as important in different ways and just as helpful for my family, for my son, as it is for the kids it serves. Meet “lil Fisch”! He killed it the other night. 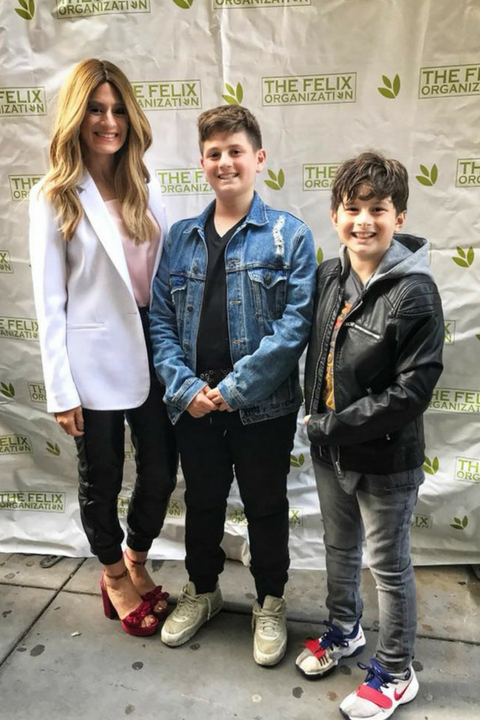 It’s hard to find the words to share when your 13 year old son is honored for his charity work. 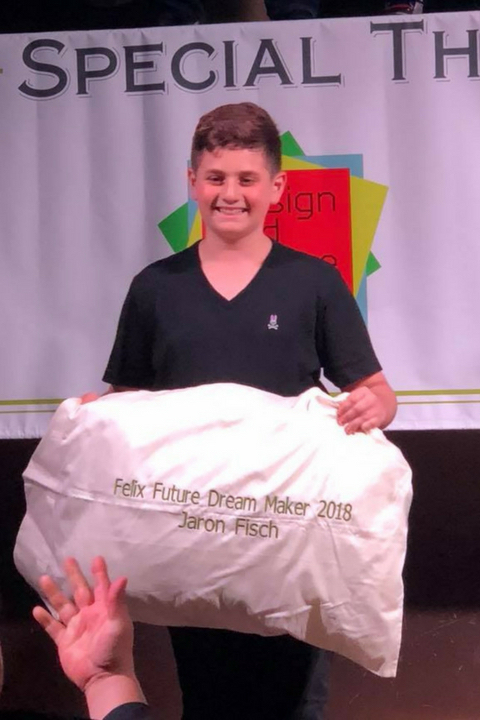 Over 15 foster kids will go to camp for a week this summer because of Jaron. What my son learned, felt and continues to feel and inspire him, you can’t buy, teach or tell. 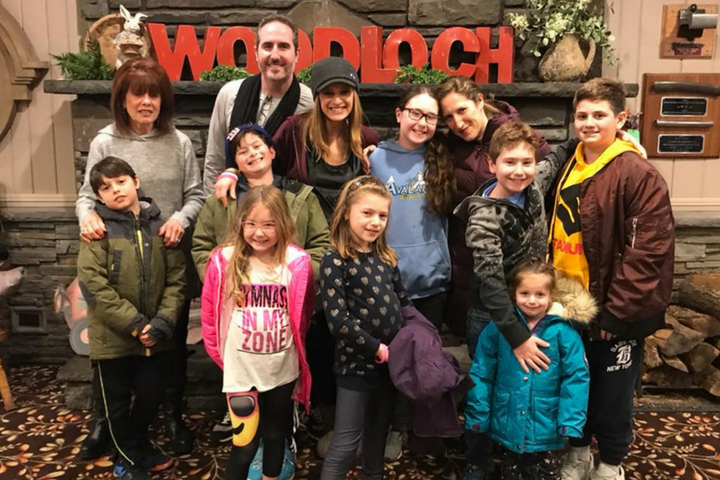 As the last day of my 43rd year approached, I was so grateful to end this year with so many of my favorite people at one of our favorite places, Woodloch Resort with my boys & my love & my MOM & my bonus kids & my bff and her kids. I am ending the year the happiest and healthiest I have been in awhile. I am reminded how lucky I am in life and health and choose to see it that way. I will think about how to make 44 the happiest and fullest of life and love and hard work and passion as ever before. I remind all of you to try to do the same. Live and love life. 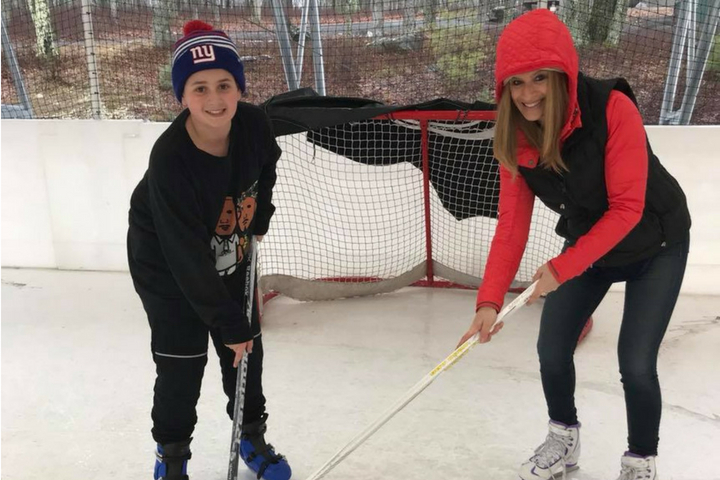 One of the kids said to me one morning when we were choosing between all of the activities here at Woodloch Resort, “We know you just want all of us to be happy today.” They were right. 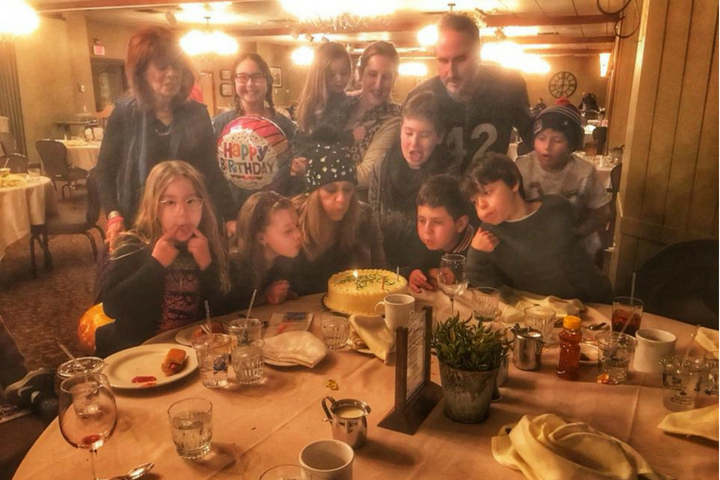 I’d say we all had a great day and few days for my birthday because as you probably know by now…I love to celebrate life. This is 44. Big Smile! That’s the outside. Happy. Full of love. Comfortable. Living. Just being me. That’s the inside. All together…44 is being happy & healthy & comfortable being me. Anywhere I am. Whoever I am with. Doing what I am passionate about. I hope you all find this too – no matter your age. I am grateful to all of you. 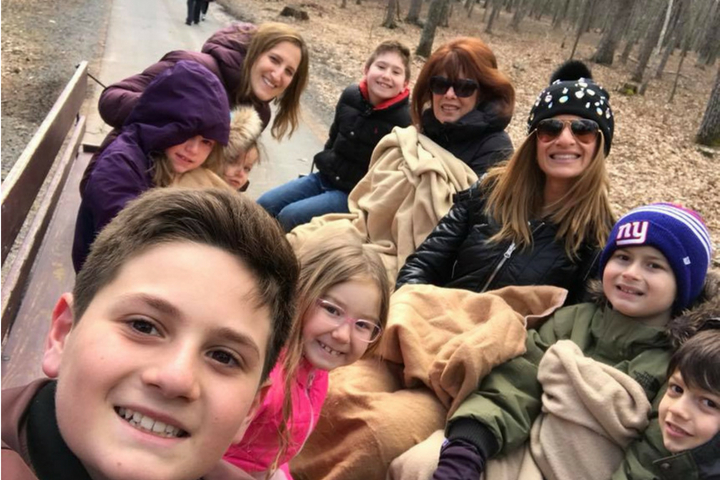 I am grateful to be Woodloch Resort with so many I love and looking forward to the road ahead (and continued celebrations). 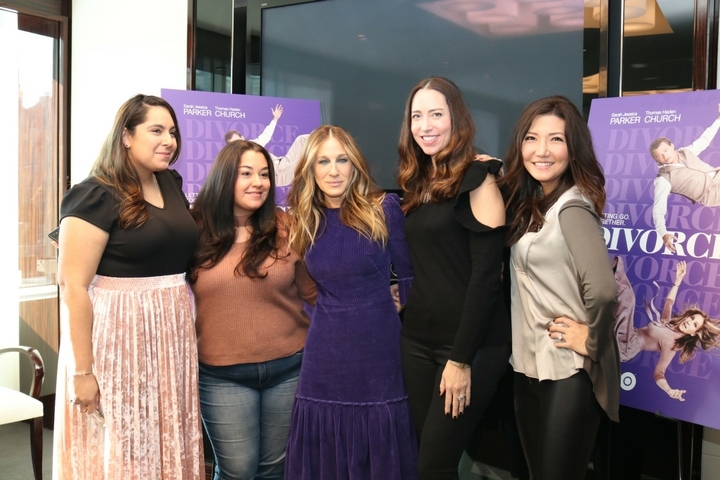 The MOMS hosted a Mamarazzi event with Mayim Bialik for her new book, Boying Up: How to Be Brave, Bold, and Brilliant at Brookfield Place in NYC with Invisalign Brand and Poise and featured The MOMS Marketplace. Click here to hear Mayim’s favorite date night, what she says way too much to her kids and more! 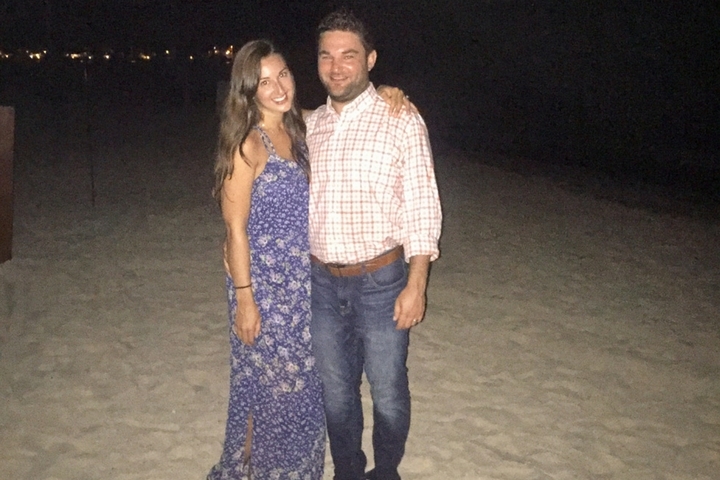 Why Invisalign® Treatment Was The Right Choice For My Family! 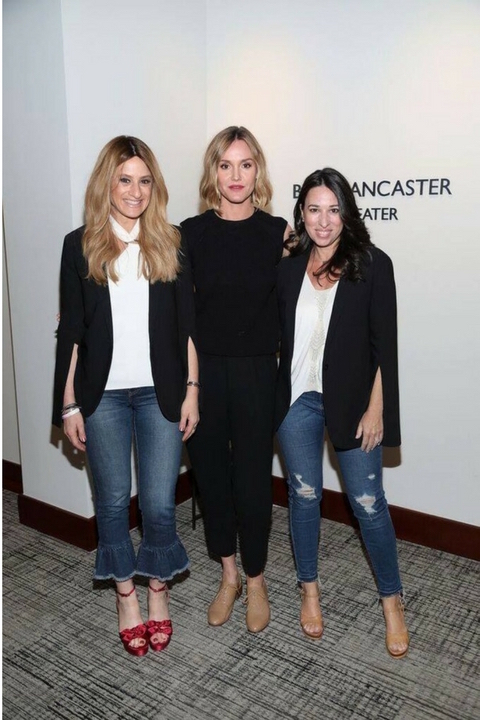 My girls and I received complimentary Invisalign® treatment and are partnering with the Invisalign brand to share our experience with you. I am a working mom with 3 kids ages 16, 12 and 9. My work schedule pulls me in different directions constantly and I often don’t know from one day to the next where I will need to be. My children have just as busy schedules. So, when I discovered the ease and convenience of Invisalign treatment, and how you can get amazing results up to two times faster (Invisalign providers can prescribe weekly aligner changes vs. two-week changes, at their discretion), I couldn’t wait to make our first appointment. My kids can wear the aligners, and change them weekly without having to return to the office and miss school and their extra curricular activities for emergency visits related to broken wires or brackets. These are the aspects that people do not consider. We all know going to the dentist can be quite pricey, depending on the treatment you get. But it is worth it 100%. What better way to look after yourself than spending money on something that you will actually need, like good health and oral hygiene. This is priceless. If you are looking to find affordable treatments for Invisalign or any other cosmetic treatment, it is always best to do your research into something like Fort Wayne Dentist so you can speak to professionals about anything you want to have done. It is best to speak to people who know exactly what they can offer you. There are many options you can find to improve that smile, so be sure to pick the one that you are most interested in to suit your needs and requirements. I had always thought of Invisalign treatment as an option for adults only. I was thrilled to learn that Invisalign treatment works for teens, too. It started with a visit to Park Avenue Orthodontists where we were digitally scanned with an iTero® scanner and educated on how the Invisalign system works. 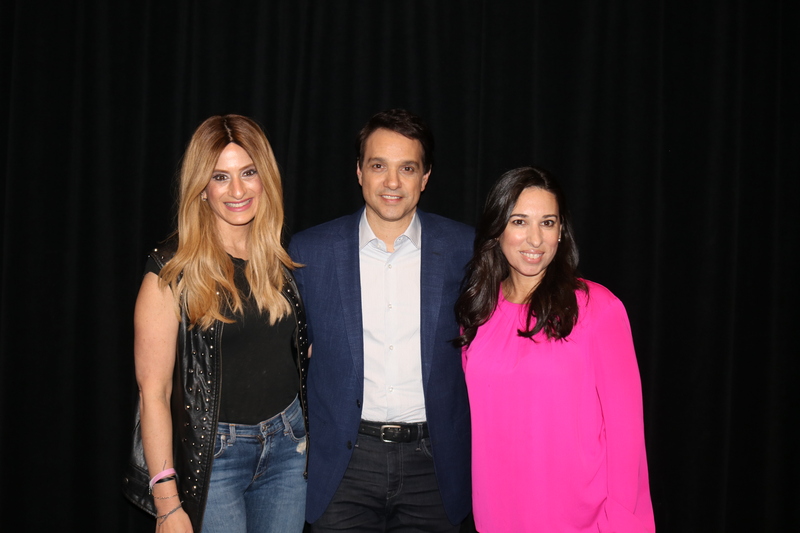 I actually learned that over 1 million teens have been treated with Invisalign clear aligners. I was quite excited to learn our orthodontist, Dr. Janet Stress-Allen (find your own doctor here) would give us several aligners at a time. That is such a bonus with my work schedule and with my kids busy after school schedules. My daughters were totally fascinated by the technology and how easy it was to get all set up for their Invisalign treatment. They have actual images on the computer that can show you where your teeth are today, where they will be moved and how the Invisalign treatment will work. I watched my kids’ faces as our provider explained this to them and they were in awe seeing how their teeth can shift. 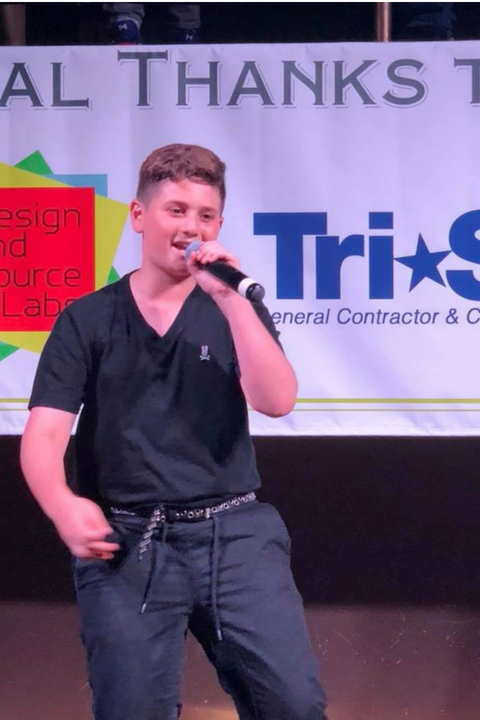 We have two performers in our house who are on stage often and knowing that the aligners are clear gives them a boost of confidence while fixing their teeth. We talked about our smiles, and our teeth and what was bothersome. For my youngest she had lots of crowding and she got a sneak peek at what her mouth would look like at the end of treatment. My older daughter has some space issues and her bite needs to be adjusted. For me, I have never been in love with my smile so I am fine-tuning some separation, which will get closed by the end of my treatment. I hope to fall in love with my new smile when I am done. The other exciting thing about Invisalign clear aligners is that you don’t need to worry about food getting stuck in wires and brackets. My girls can have all the popcorn they want (a favorite) because you take out your aligners to snack and eat meals. That left them quite happy. I do love popcorn too so I was thrilled to learn this. After everyone was set up and ready to head home with our aligners on, my girls had some great questions for our doctor. They wanted to know what happens if they lose an aligner or what they do if they go to sleepaway camp and how to clean them. 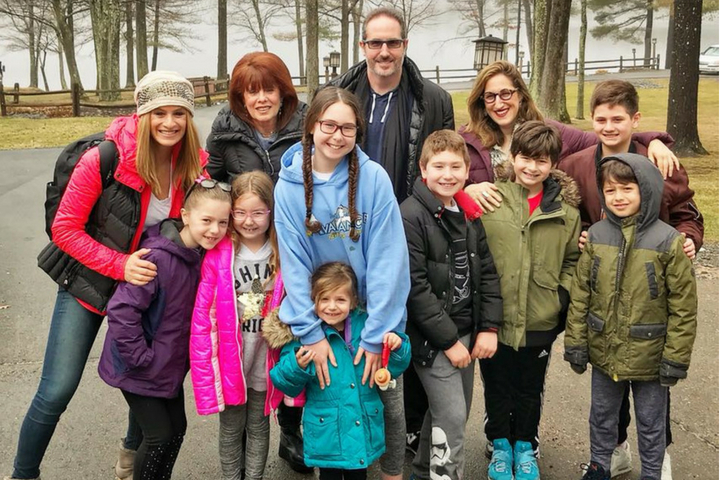 All great questions and the good news is, you can work with your doctor to get a replacement aligner and you can bring your aligners to camp and change them every week like you do at home. I couldn’t believe, in my opinion, the ease of it all and how unnoticeable they are when you wear them. 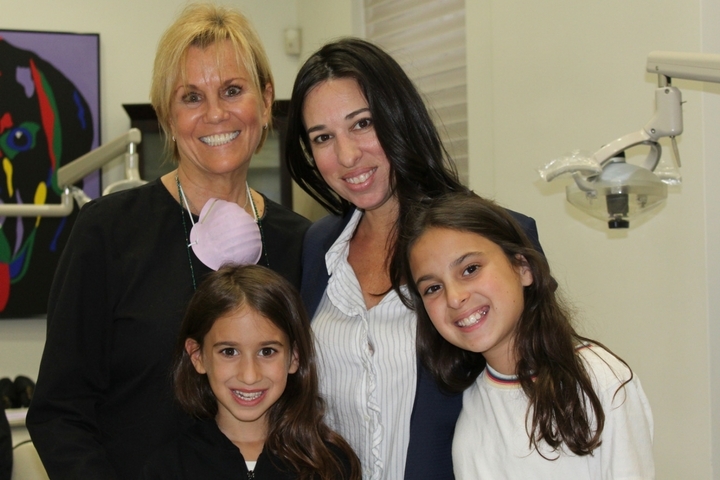 We are all looking forward to seeing the progress and new and improved smiles for all of us. If you would like to learn more, take the Invisalign smile assessment. Find out if the Invisalign treatment is right for you or someone in your family. Listen to hear his favorite date night with his wife, his favorite concert, favorite things to do with his kids and more! 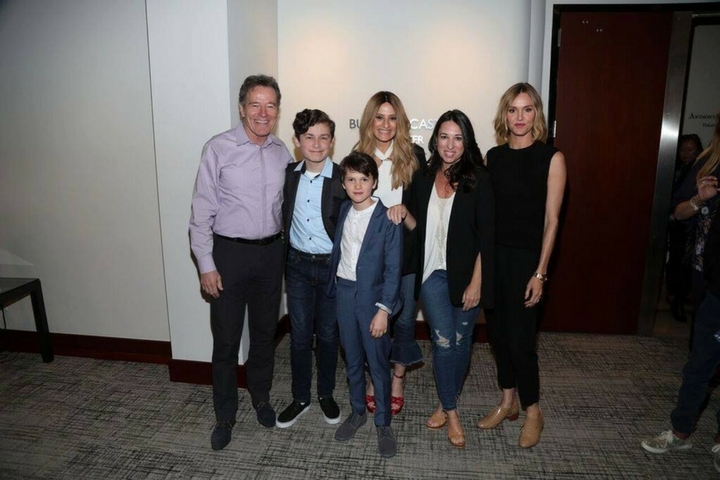 The MOMS hosted Bryan Cranston, Erinn Hayes, Gabriel Bateman & Kyan Zielinski on The Sony Lot in Los Angeles. The Show is available on Amazon Prime Video! I take my 3 kids away by myself a lot now. 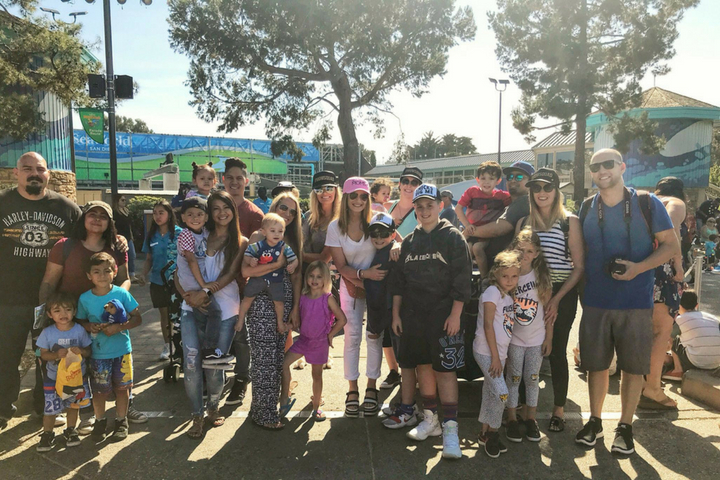 At first, it was quite overwhelming; the thought of me alone on a plane and in a hotel with all 3 of my kids by myself was kind of scary. I have been doing this for over 8 years now, since my 3rd was only a few weeks old. I am tough and they listen. This is how it has always been in our home. 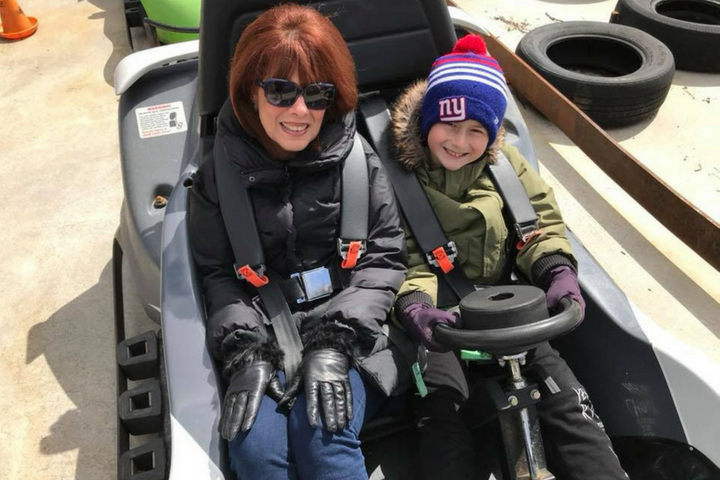 We practice “tough love.” When you have a consistency in your house, your kids know and understand how you operate, so it is not any different when we travel. 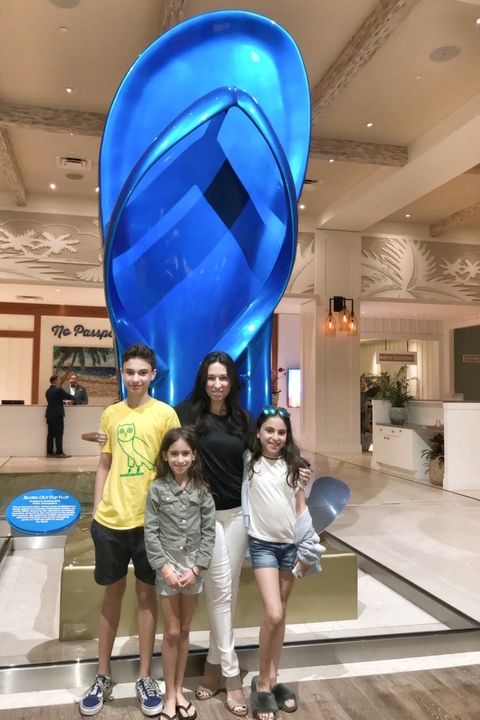 I took my 3 children last month to Margaritaville Hollywood Beach Resort for a few days to explore and relax over Presidents Break. I had no idea what to expect. Was Jimmy Buffett going to be at the front door? Would we hear “Wasted Away Again At Margaritaville,” all day long? We arrived to a gigantic flip flop in one of the most gorgeous hotel lobby’s I have ever seen. The kids instantly went for the flip-flop, it was a sight! We checked in and hit the pool and the beach. The pool was a beautiful oasis that was no deeper than 4 feet, which meant I could relax a little too and not worry about the deep end. 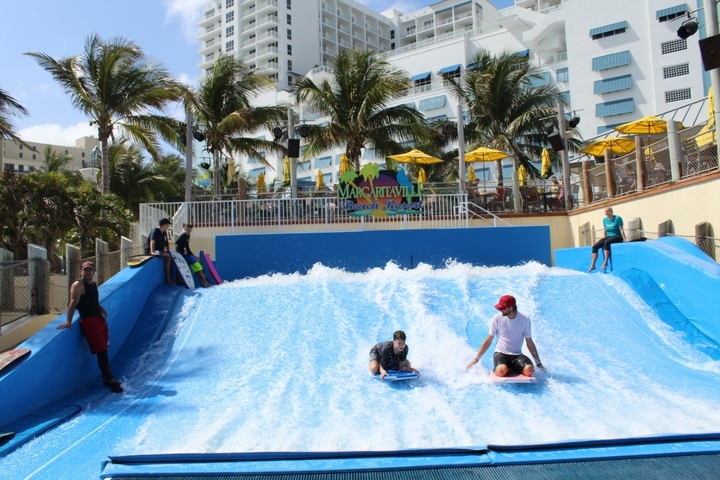 The hotel also has the FlowRider, which was a huge hit. It is a surfing simulator and what I liked the most, was they had a surf “coach” who really helped the kids improve and attempt standing up. 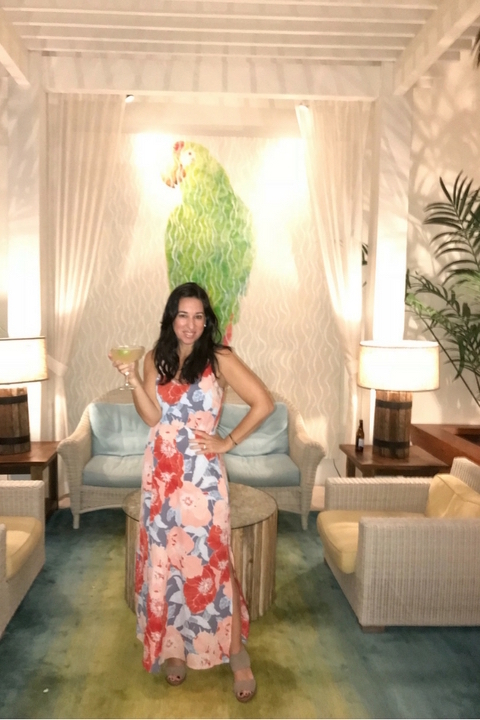 We also loved the location of Margaritaville Hollywood Beach Resort, it is right on the Broadwalk so you have instant access to great restaurants, stroll fun shops and of course the beach! But if you want to just stay close, there is The Landshark Bar and Grill and of course Jimmy Buffett’s Margaritaville restaurant which the kids loved, because you can sit in a boat that also has a TV. This is great for the kids and for Mom and Dad who may want to have a conversation together. Another great aspect of this hotel are the rooms. They are all spacious and beachy and renovated with beautiful accents. They have a fridge, which is helpful with kids and snacks and drinks, and they also have a fabulous view of the beach, so you can sit on your balcony and take in the sunrise or sunset. We happened to be at Margaritaville on National Margarita Day. So this Mom, at 45 years old had her first Margarita ever. It was fun to celebrate the day with others, who couldn’t believe I had never experienced this drink. 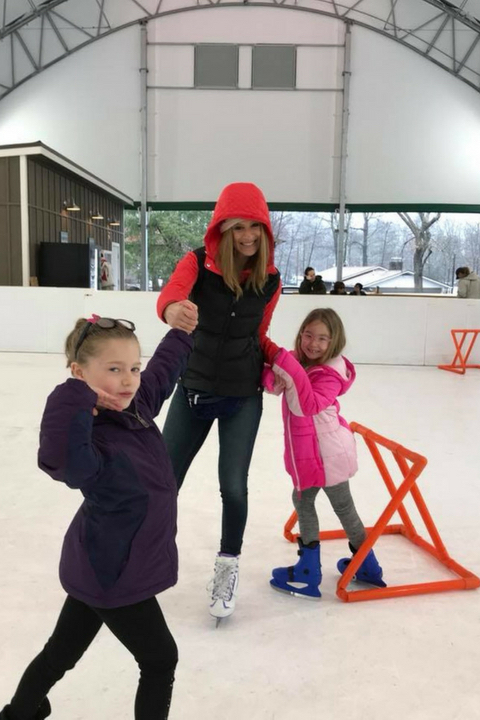 Every Mom Needs a She Shed and an Afternoon with Genevieve Gorder! Ever meet someone and you instantly feel like you have known them forever? Where you are finishing each others sentences and you just cannot get enough of each other…Well, this happened to me last week. 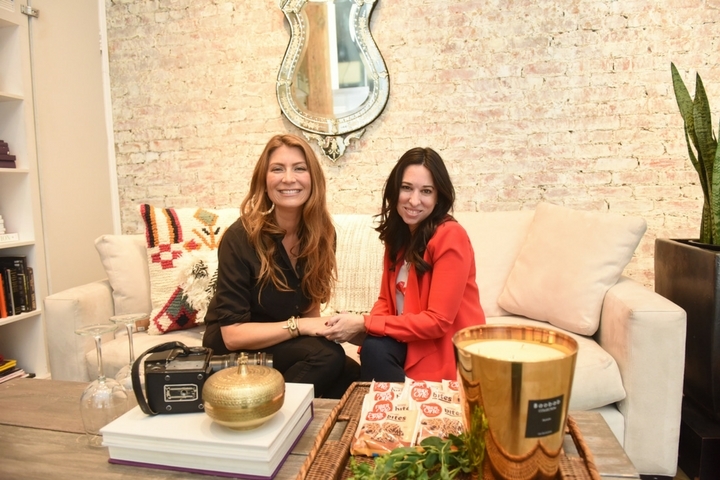 I had a chance to meet the wonderful design expert and TV host, Genevieve Gorder! 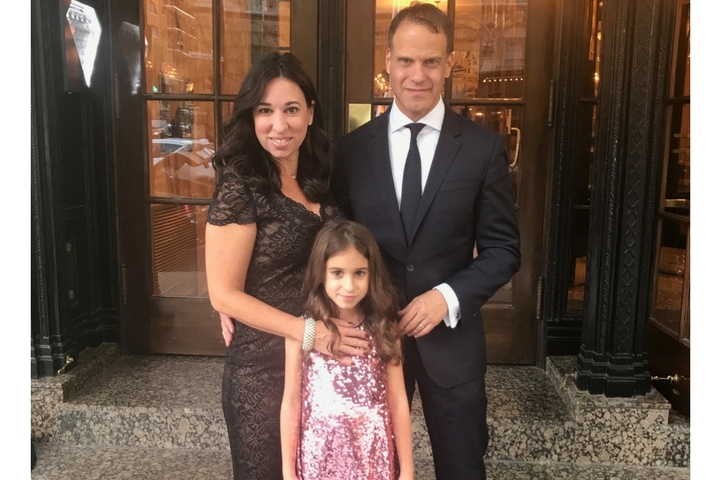 We talked about being from the Midwest, we talked about our daughters, we spoke about New York City and chatted about the importance of celebrating “me time” in style. We talked and talked while snacking on Fiber One’s new Brownie Bites which are the perfect, guilt-free snack to indulge on when you need a moment to yourself. As a busy mom of 3, I fully understand the importance of #metime. I rarely take it (I am working on this) so that’s why I invited a few friends and took a few hours out of my day to relax and explore Fiber One’s She Shed with Genevieve. I let her know that I am design inept and have actually broken into a sweat while trying to choose a paint color. 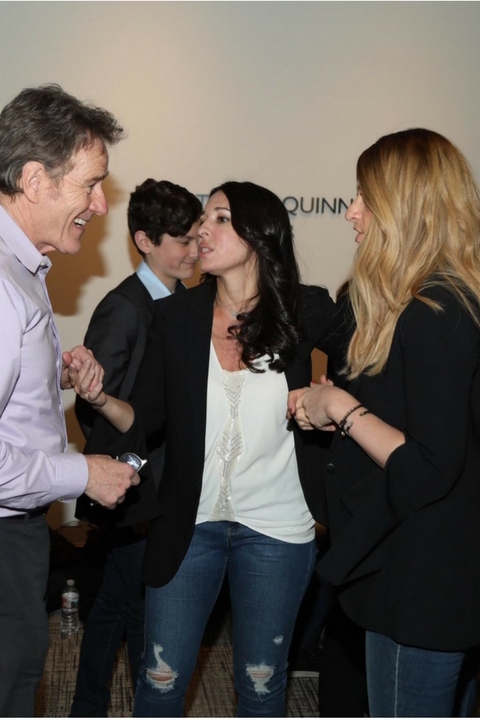 Genevieve was comforting, charistmatic and obviously very talented as she walked me around her designs. She showed me some simple design ideas and enhancements you can do on a budget and we talked about how it would be a dream of mine for someone like her to come into my home one day and just take over. I struggle with making design choices, and I am constantly searching for that Feng Shui gene that many people have. When you are a mom of 3 living in an apartment, you most definitely need your own space to relax and feel zen like. 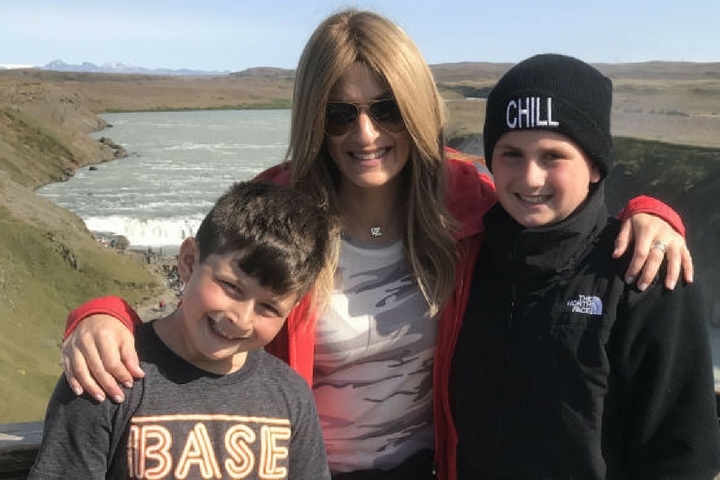 It is so necessary to also take that time for yourself where you can breathe a little and laugh a little since raising a family can be so exhausting and challenging. So here’s to more of #MeTime, here’s to more time with friends and here’s to hopefully creating my very own She Shed one day! My friend told me that they followed this Plastic Shed Guide to get her own She Shed up and running! A little nook or place that I can call my own. I will also make sure to always have Fiber One’s new Brownie Bites on hand, they are perfectly portioned, guilt-free indulgences that I plan to stash in my very own She Shed, away from the kids! Everyone wants their own She shed even if it’s just a 10×20 shed it is still somewhere that is their own so they have some peace. Ariane Gold is the owner and designer of goldno.8. 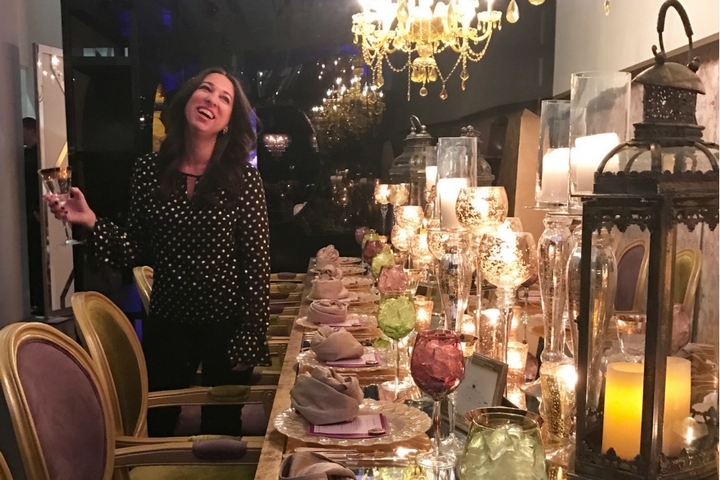 Ariane has worked for some of the biggest names in the fashion industry over the past 20 years including Ralph Lauren, TSE, Catherine Malandrino and Isaac Mizrahi. Her designs have been featured in top fashion magazines across the globe including Vogue, Harper’s Bazaar, Elle, W and Marie Claire and sold at top retailers worldwide. In addition to her fashion career, Ariane launched a successful home décor business called BUTCH & harold with her sister. 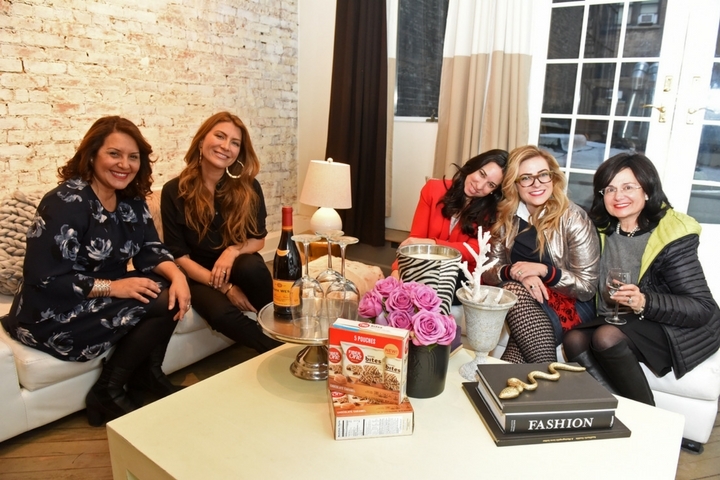 The brand has been sold in stores ranging from Bed Bath and Beyond to MOMA Design store and has been featured in top publications and TV shows. 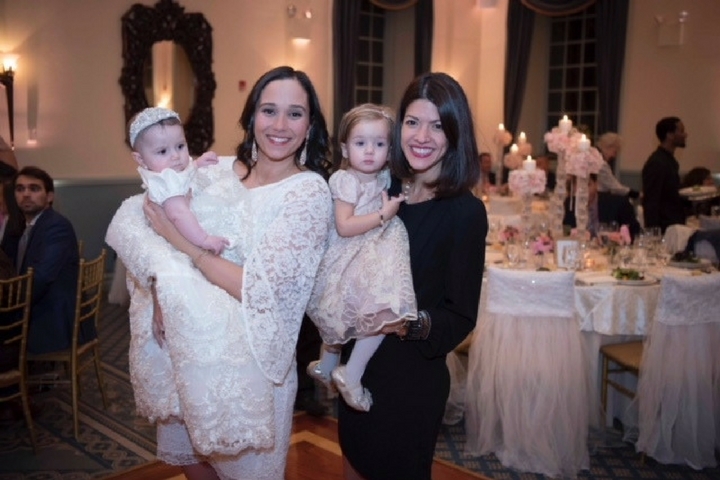 Juggling life as a successful Creative Director and mother of two can be challenging on the fashion front. goldno.8 was conceived in part because her busy lifestyle. 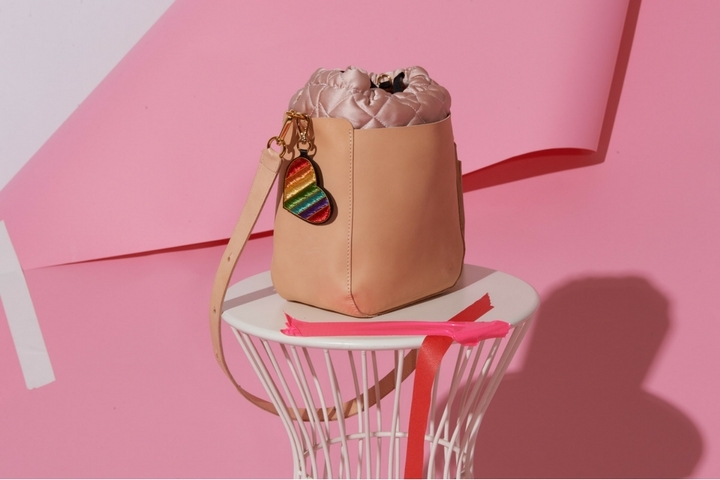 Constantly running from work, to the gym, to the boy’s activities, and evenings out demanded a bag that was both fashionable and functional. And so, goldno.8 was born and we couldnt be happier! Go Ariane Go! 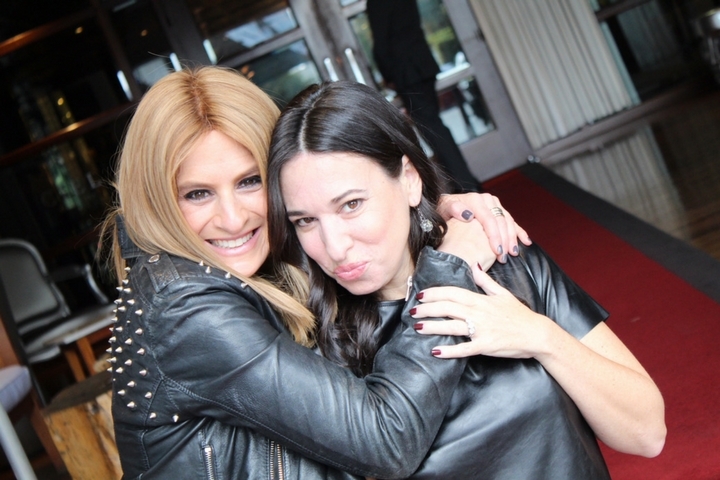 Melissa Gerstein, Ariane Gold (founder Goldno.8) Michelle Gold (sister) Denise Albert. Click here to shop Goldno.8! 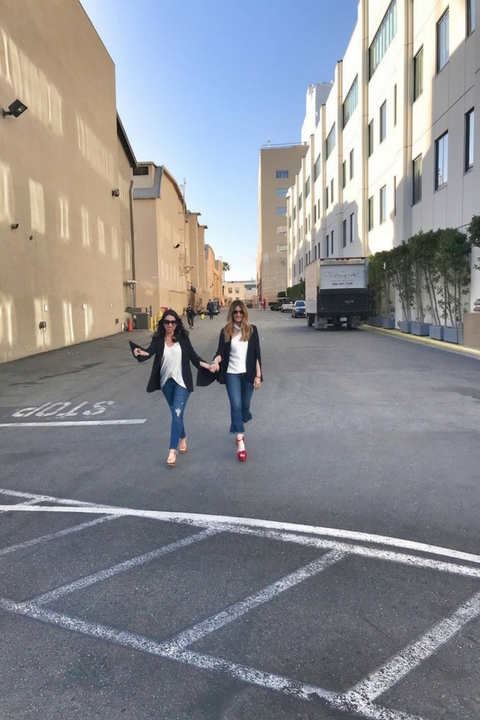 The MOM IDEA…The Em and Liz Box! 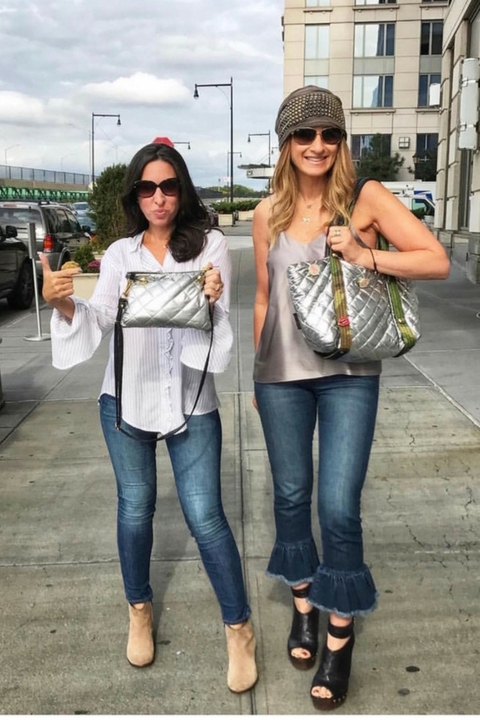 The Em and Liz Box was inspired by our passion for shopping for the sparkliest, girliest products and accessories for our own daughters as well as incorporating elements from our own childhood. Each box is curated with 4-6 full size, high quality age appropriate items that closely tie into a monthly theme. The boxes also feature 2 sheets of theme based stationary and our SurPRIZE Pod. We vividly remember collecting Lisa Frank stationary, writing letters to friends and eagerly checking the mailbox everyday for a special note. Our aim for the Em and Liz stationary is to ignite that lost art of letter writing and to encourage friends to send fun messages or drawings to one another. The Em and Liz SuPRIZE Pod is a mixture of our take on the pop culture phenomenon of surprise eggs and our nostalgic nod to vending machine prizes. With all of these features mixed into one fun subscription box, the Em and Liz Box allows young girls to experience and prolong the magic of girlhood month after month. To the left Riki and Elizabeth (Liz). To the right Effie and Emanuella (Em). Click here to shop The Em & Liz Box. He was right. “Go home and bake your cupcakes; we’ll start a business out of it” is what he told me. I ran to the supermarket, looking for flavor inspiration. That’s when I thought up s’mores, cookie dough, and peanut butter cup cupcakes — three of my favorite things in the world. These went along with the flavor I famously had been making for all my family and friends — tie-dye. Following a serendipitous series of events, I got a tasting with a well-known NYC caterer. We needed a name and a logo, and my brother insisted that it have a personal touch. We settled on Baked by Melissa. My friend Matt was twiddling around on his computer; within minutes he turned his monitor around and asked, “What do you think of this?” It was the exact same logo that we have today. I went to that meeting with the NYC caterer with boxes that I got from the deli across the street from my apartment, our new logo printed on a piece of paper that we glued on top of the box. Inside were my cupcakes, which I decided to make mini without paper, so the aesthetic was just like they are to this day – simply designed with a little touch of the stuffing on top. The caterer loved them and from there, everything was a whirlwind. 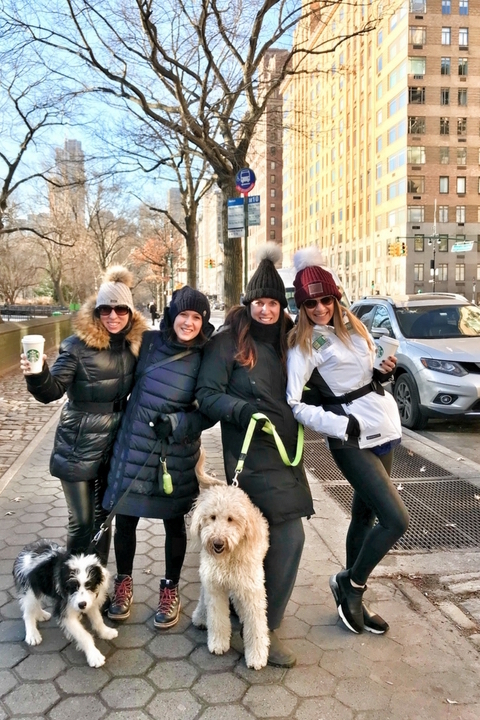 We created a website, baked cupcakes for events and holiday markets in the city, started selling at a pop up, and then launched our first retail location – a pickup window in Soho. 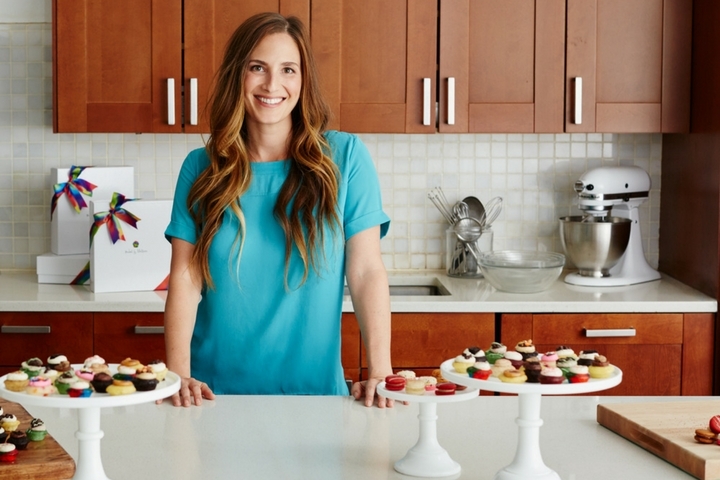 Baked by Melissa has always been a group vision. In those early days, I had an amazing team of friends (old and new), plus my brilliant brother, parents, and now husband! You can’t do something like this alone: you have to recognize what you’re great at and surround yourself with people who have the strengths that you don’t. That’s exactly what we did, and that is what we do today. Now we have 14 locations and ship our baked goods nationwide. It’s been a magical ride, and there is so much more to come. I feel so fortunate to wake up each day and make life sweeter for people everywhere. Click here to shop Baked By Melissa. 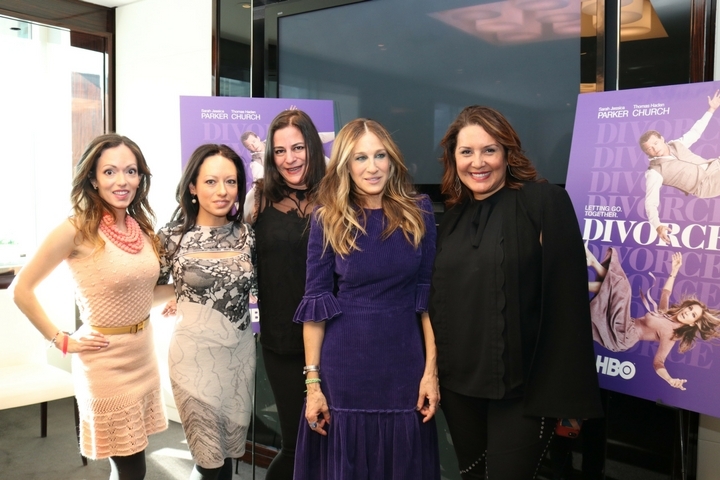 SJP in the Mamarazzi House! 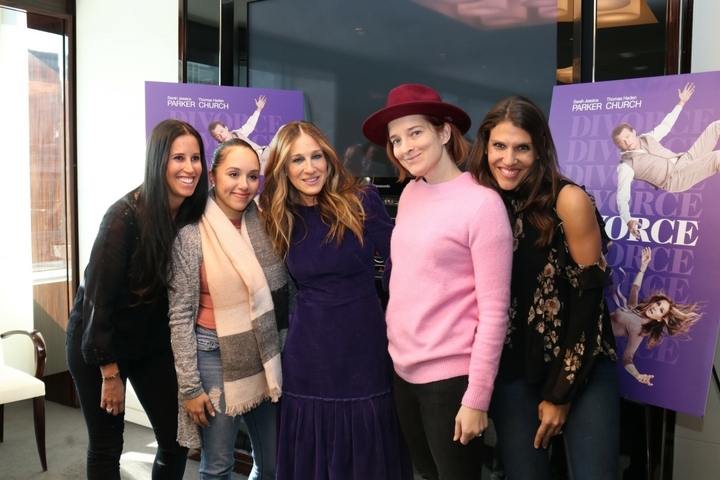 We were so touched by SJP, the mom, the person who could just be your best friend( she kind of makes you feel like you already are), the smart business woman, and oh you know, forever Carrie Bradshaw! 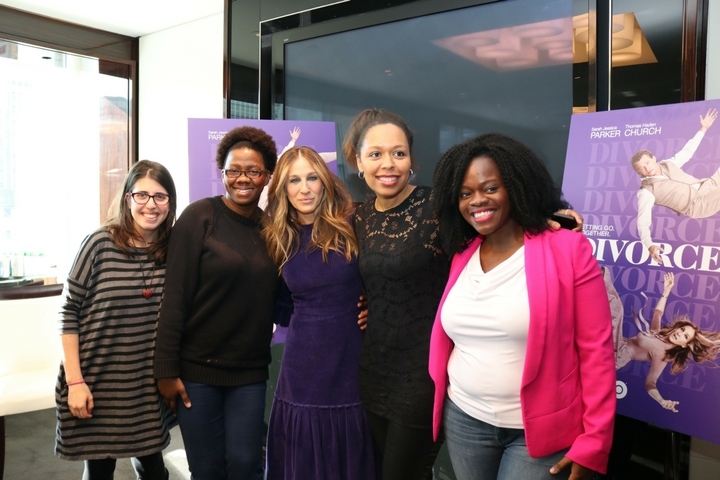 We can’t explain what it feels like when Sarah Jessica Parker walks into your event and hugs you, asks about your health, remembering every detail and tells you how deserving you are for your success. 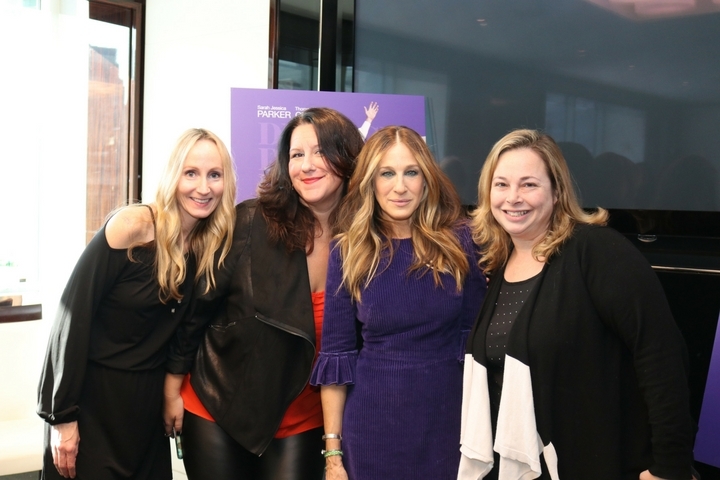 SJP was our very first Mamarazzi guest five years ago and helped jumpstart our event business. We thanked her again over and over and she continued to tell us that “it would have happened anyway” and that “you had an idea that was really smart and what you wanted to do no one had attempted”. We do pinch ourselves in moments like these. 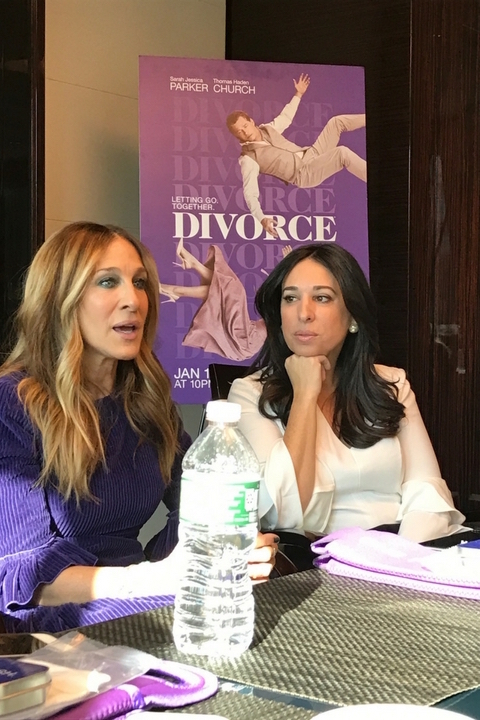 She talked all about social media, her own struggles with how to respond sometimes to the negativity and of course her hit HBO series Divorce. Nothing but love for SJP. She’s the girlfriend you dream of. 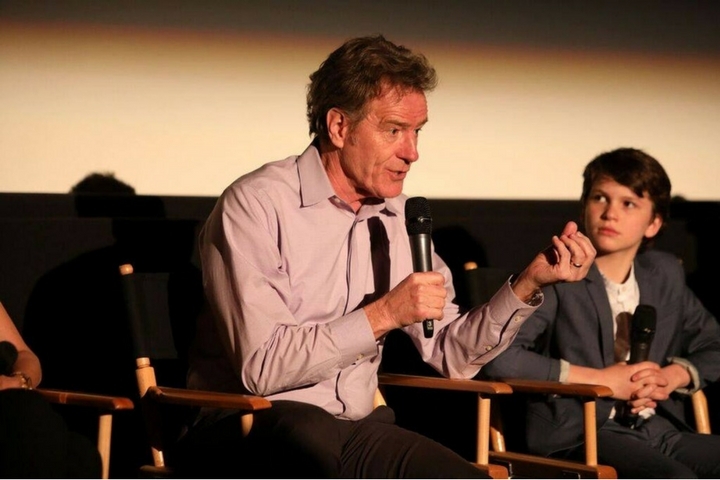 Oh and then the dashing Thomas Haden Church walked into the room. Drop Mic. SO TUNE IN THIS SUNDAY AT 10pmEST for Divorce on HBO. 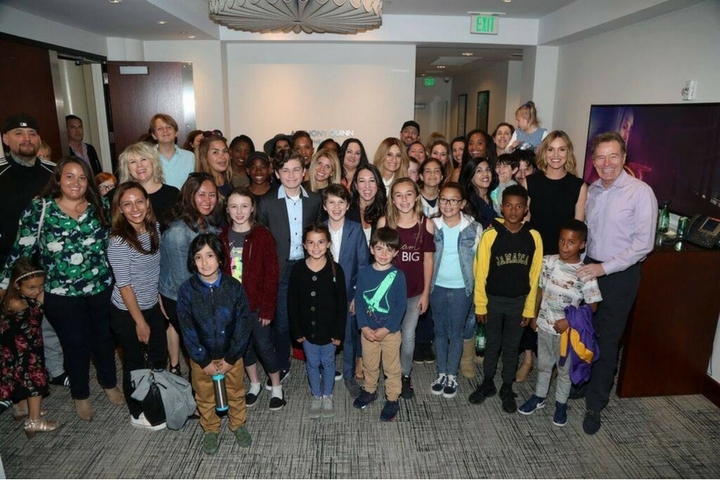 We sure were #BADMOMS with Cheryl Hines at our LA Mamarzzi event for Bad Moms Christmas just before the holidays. 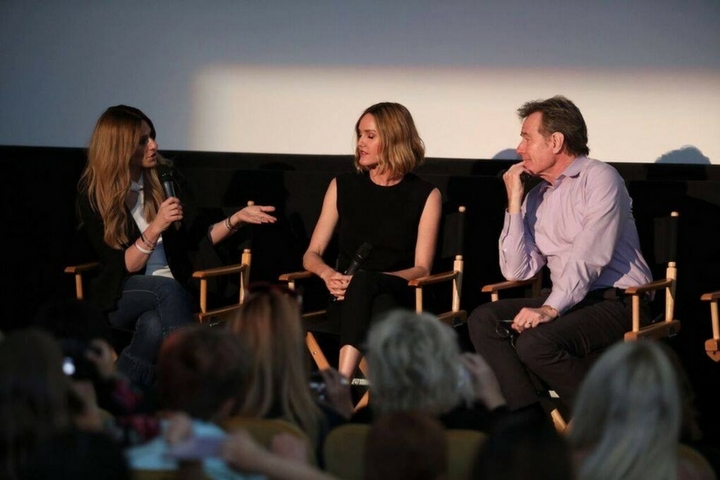 Cheryl brought her own mom to the Mamarazzi event and told us and our audience some ‘Bad Moms’ stories. (Click to listen and watch our Facebook live with Cheryl here). 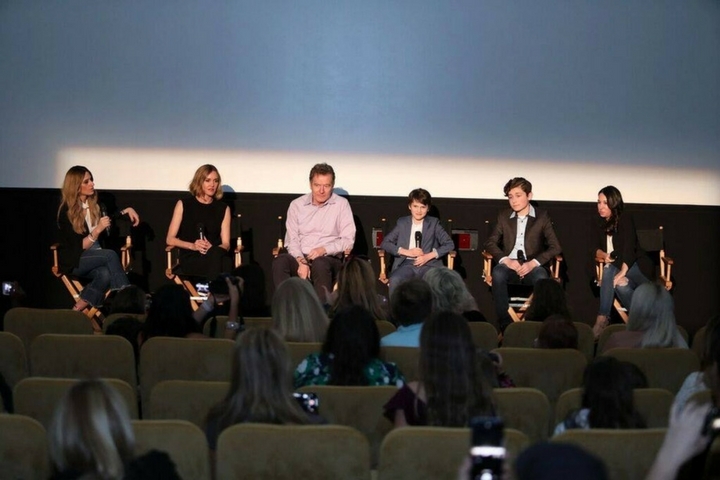 We loved learning so much about Cheryl like how she was a bad mom taking her 13 year old daughter to see the film. 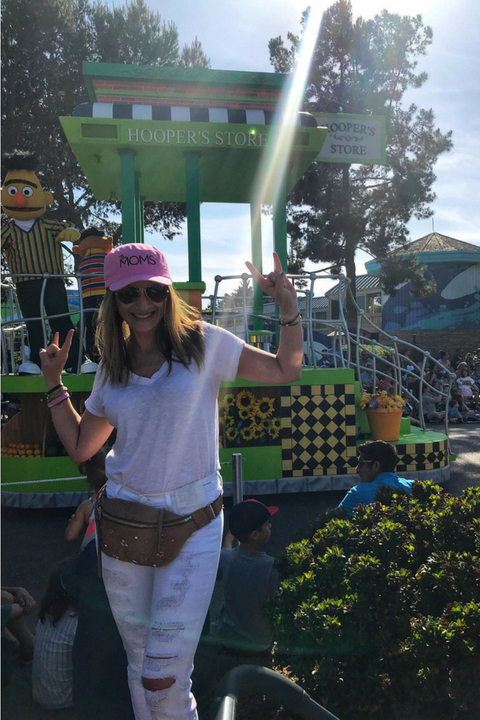 She told us that you have to be a happy mom to be a good mom and that she goes to play poker to take time for herself so she doesn’t go crazy. All in all, she taught us to trust your gut and do the right thing. You have to go check out Bad Moms Christmas right away! 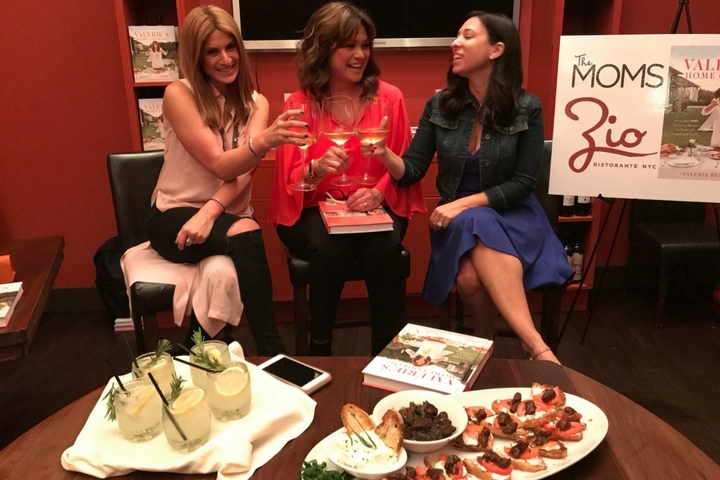 We had so much fun chatting with Valerie Bertinelli about her new cookbook, Valerie’s Home Cooking at our Mamarazzi event. 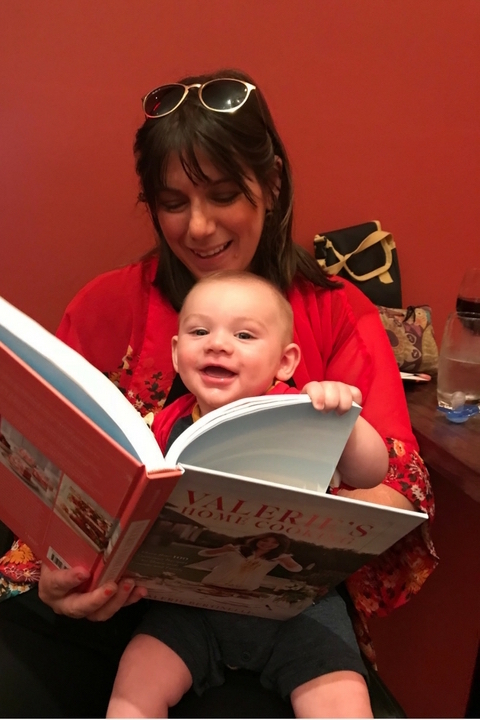 We learned so much from Valerie about her son, ex-husband (rockstar), managing her weight, and her love of cooking. We can’t say more good things about this lady! 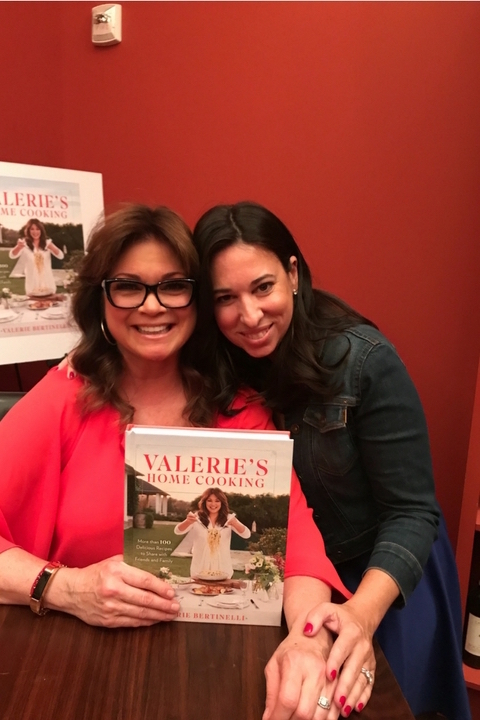 Be sure to go out and get her cookbook, Valerie’s Home Cooking for delicious recipes! 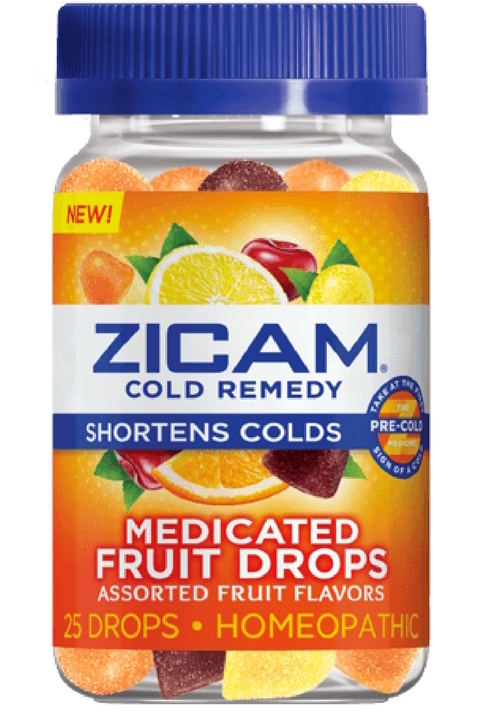 These gummy drops shorten the length of a cold when taken at the first sign of symptoms. If your family is like mine, everyone likes a different flavor so its great that there’s assortment of fruity flavors….And they are delicious. This time of year it’s not just cold symptoms that people need to worry about. People can also feel more lonely and isolated when they have a cold. That’s why Zicam® is passionate about finding ways to help people stay connected. Zicams ColdSense mobile app not only helps people stay on top of their potential exposure to the common cold, but also connects them to digital ‘get well’ messages to send to friends and loved ones this cold season. Traveling or hosting for the holidays can be stressful. I’m sure we have all been in the situation of having to suffer through sleeping on the couch at your in-laws, or even more uncomfortable…. having them sleep on your couch. During the holidays why not think about planning a mini-vacation and looking for a place that you can have an experience. 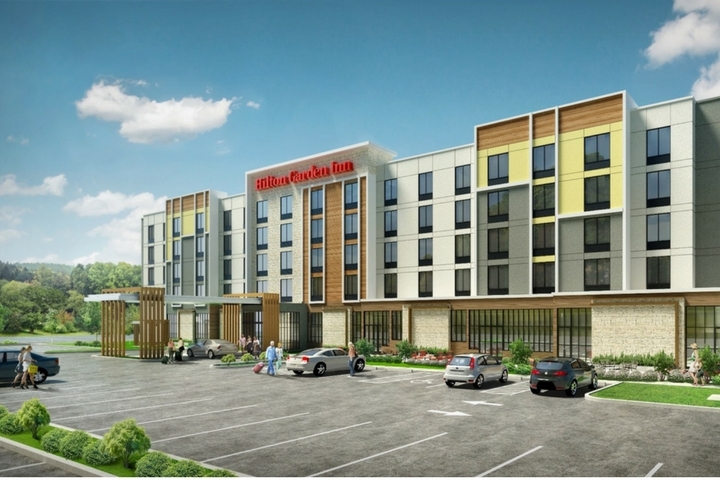 If you are going to have visitors this year it would be great for them to try out Hilton Garden Inn. This year, Hilton Garden Inn made even more enhancements to its already award-winning food & beverage offerings, and have some amazing new menu items and inventive handcrafted cocktails. 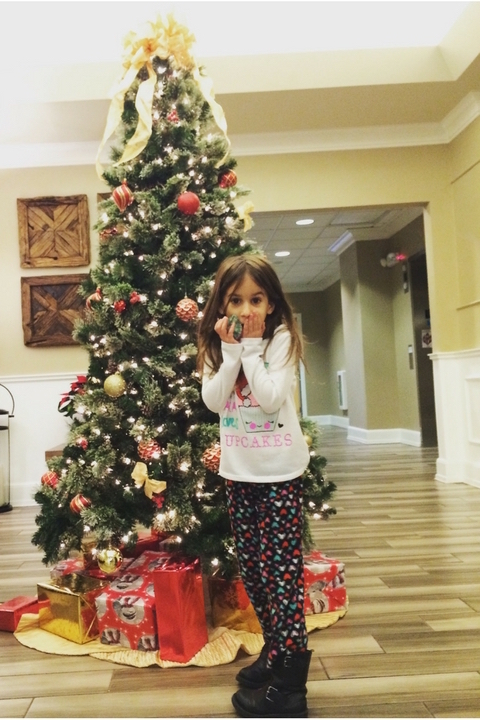 My family stays at a Hilton Garden Inn every year when we travel to Toronto for the holidays. The manager even knows us and always welcomes us. And my kids love the made-to-order breakfast. 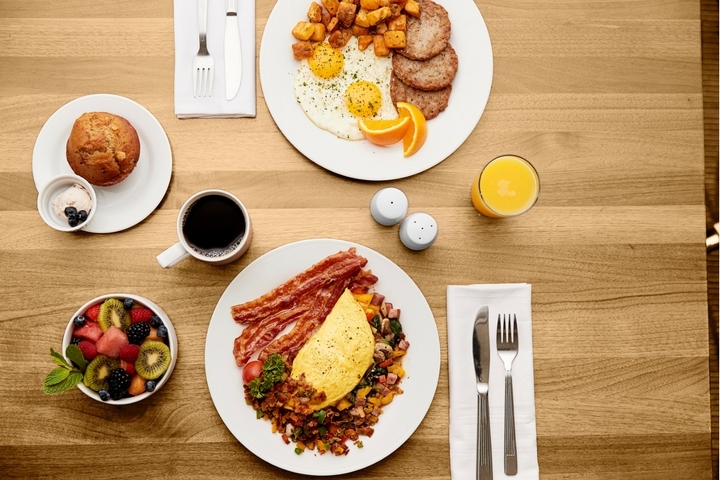 From made-to-order breakfasts to gourmet coffee to small plates like flatbreads and fresh hummus and veggies, to delicious larger meals, you can enjoy a wonderful experience dining at your hotel before heading to visit family. 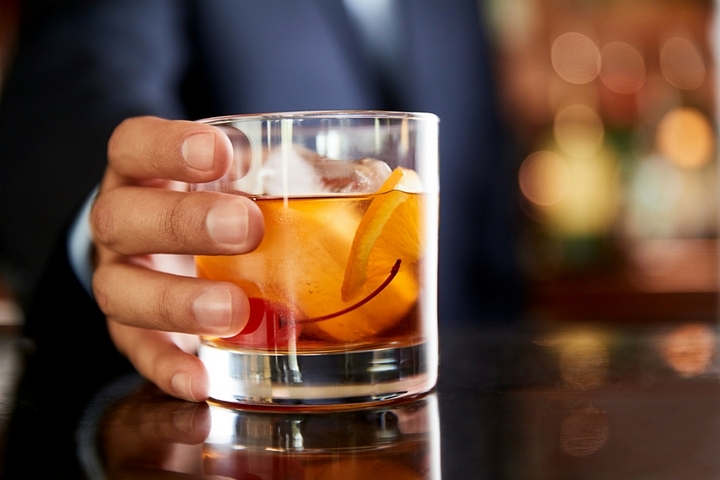 And after spending the day celebrating with family, you can wrap up your time together back at the Hilton Garden Inn and enjoy some of the handcrafted cocktails created by a mixologist. This Post is in partnership with Hilton Garden Inn and Zicam. But, for some reason this past Fall we took to the roads over the skies. I thought about all the foliage and autumn scenery that it might make for a nice change. 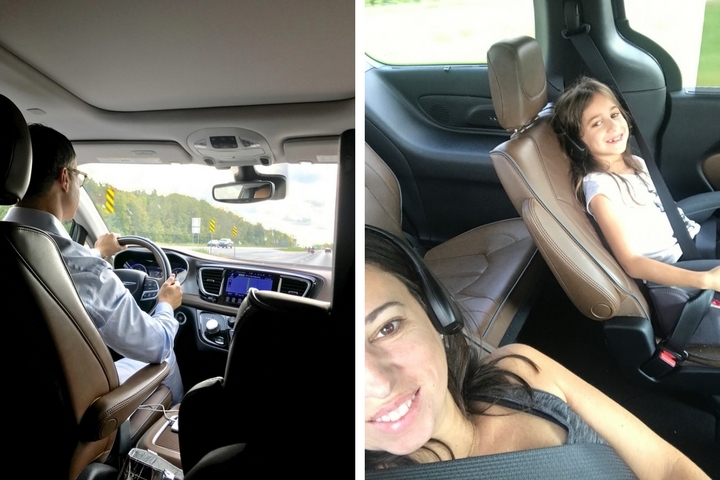 We headed to Montreal last month in the new Chrysler Pacifica, which my youngest says is like having our own house but on wheels. This time she asked me to sit in the back with her, which I have never done. She said, “Mommy come join the movie theatre.” She has such an imagination, but she was right, it was like having your own personal movie theatre. First off, the middle section seats recline back like theatre seating and the sound system is amazing. We held hands while watching movies together and laughed and it was such a change for me from sitting in the front seat head down into my phone. It made all the difference in the world. The Pacifica has this incredible Uconnect® Theater features with dual 10.1-inch HD touchscreens with Blu-ray™ player, dual HDMI inputs, wireless headphones, Bluetooth® remotes, downloadable games and apps. My kids were in heaven! 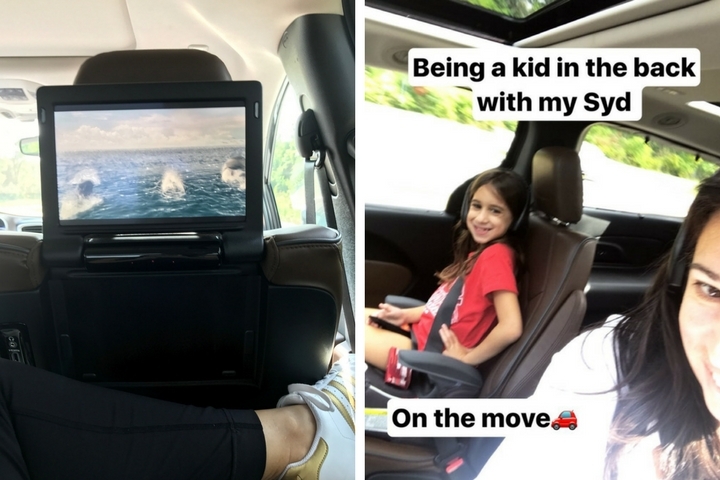 When you are a family of five and you are on the road for hours, everyone needs their own space. The Pacifica offers more room than any other vehicle we have ever driven and my kids never quarreled once while we drove to Montreal. They could stretch out and relax with their own screens and plenty of space. Yes, the most important factor to any family on any road trip to anywhere is their safety. The Chrysler Pacifica has the highest safety ranking in its class. At the end of the day, that is all that really matters. The comfort of the Pacifica and all it’s high tech new features are impressive but safety is first and foremost and that is what will put our family back on the road in this vehicle time and time again. So here’s to my next road trip adventure and always taking a back seat with The Chrysler Pacifica. I have written and said I have never thought, “Why Me?” when dealing with my cancer. I have said that I knew why. I felt I had a voice and a way to help others. I would be lying though if I didn’t admit that in the past few months I did think, “Why Me?” I wouldn’t be authentic if I didn’t admit I have felt sorry for myself. You know what … I think that’s okay too. I have gone through a lot beyond my chemo and radiation treatments. To read the full story visit Good Housekeeping. Most of all…always being there for all of us. All the time. Always available to come early or stay late. Always available. Always with a smile. Always with love. Always with all she has. 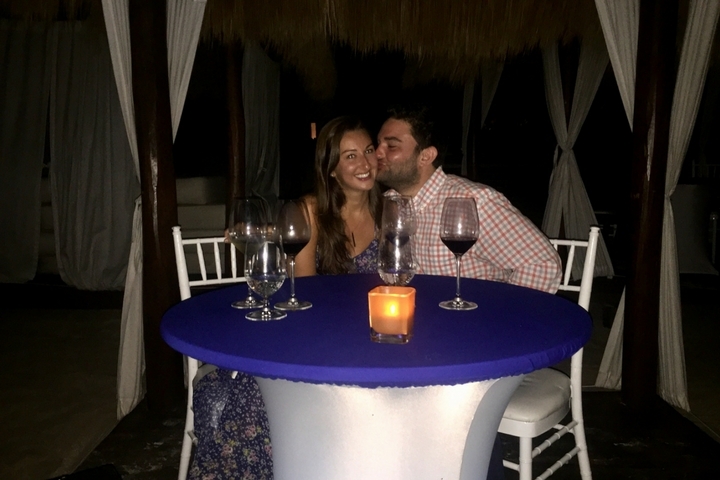 So now as she married the love of her life, we welcome him to our great, big, what some would say is functional dysfunction unique, loving village and we couldn’t wait to share their honeymoon at Secrets Akumal with you! Secrets Akumal Riviera Maya was beyond special from the moment we arrived to the last second that we left. 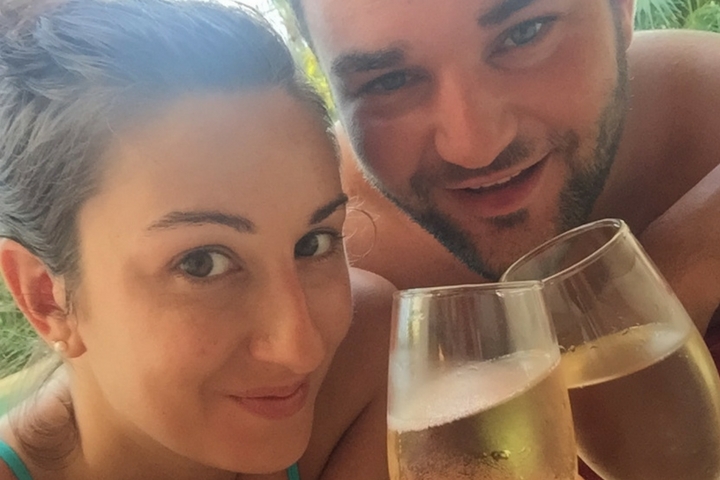 When we first arrived, we were instantly greeted with champagne and a bouquet of roses for me. Our luggage was taken to our room for us and we met with our concierge. His name was “JD” and he greeted us every morning, afternoon, and night whenever we would see him. He was so attentive to all of our needs. We felt the special attention to detail that we were there for our honeymoon right when we walked into our room. 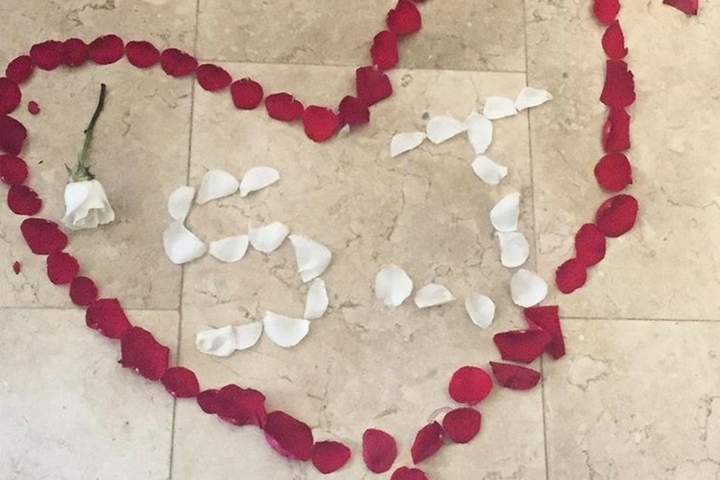 The hotel had laid rose petals all across our room, with a heart made out of rose petals, and heart shaped balloons on our bed. If check in was this amazing and seamless, we knew we were in for an amazing time! If you’re trying to plan an amazing holiday, take a look at private jet hire with Jettly. Each day we would wake up and go have breakfast at one of the many restaurant options. We were served by the same man, Jose, every morning and always with a huge smile and a joke asking if we were ready for our tequila yet! After enjoying our breakfast, we would go straight to the beach and lounge for most of the day. The service again, was amazing on the beach. Right when you get to your chairs, the men who work serving food and drinks on the beach come up to you and ask if you need anything. This goes on until you leave which was amazing. After a long day of lounging at the beach, we peeled ourselves off our chairs, and would eventually make it to dinner. Whenever you go to all-inclusive resorts, the food is always questionable. Not with Secrets Akumal. All of their food, and all of the restaurants that they had on location were great! In fact, everything from the gourmet a la carte dining to top shelf spirits and day to night entertainment is included in every stay under the resort’s signature Unlimited-Luxury offering. Although we could lay on the beach all day, the hotel offered us an amazing couples massage. The spa there is huge and has everything you could ever imagine to offer as far as treatments go. The staff again was very attentive and so friendly and nice. They made us feel comfortable and that everything was taken care of. The couples massage was a nice way for my husband and I to unwind and relax with one another. We also were given a breakfast in bed so that we could enjoy our time together, AND a dinner on the beach. The dinner on the beach was so romantic and perfect. 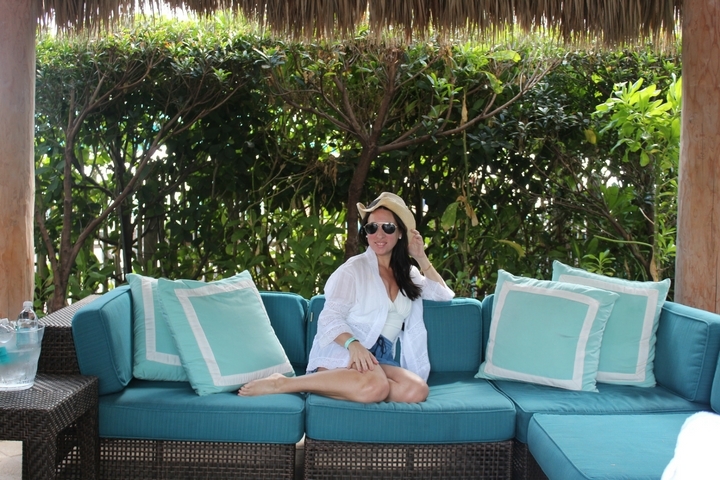 We had a 4 course meal in our own private cabana with the sand at our toes and the ocean right in front of us. 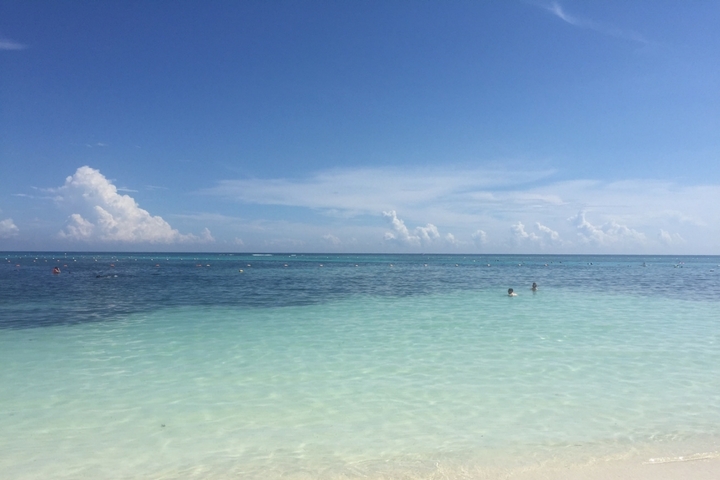 If you want an amazing honeymoon experience, with romance, fun, and excellent everything, then you will want to definitely check out Secrets Akumal. 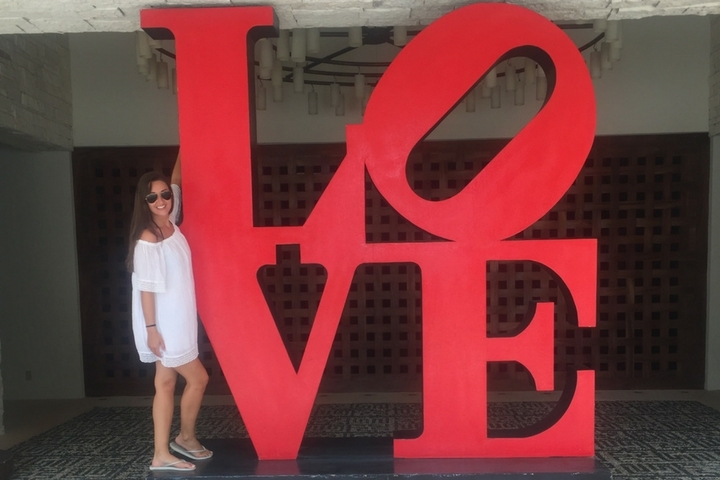 Not only was this the most romantic vacation my husband and I have ever been on, but it was filled with fun, laughter, and everything you can possibly imagine for your special honeymoon. I can’t thank the staff and hotel enough for everything that they did for us during our stay. It will be a trip to remember and one we will want to revisit again sometime soon!